This is the service which comes closest to Zapier in terms of UI and usability. The animations are fluid and everything is easy to locate and use. In terms of functionality, I have found it to be more reliable than Zapier, especially when it comes to complex tasks. In fact, in my short time of using Integromat, I can confidently say that it is much easier to set up complex tasks using this than any other services on the list. The best part about using Integromat is that it gives you a full visual profile of the tasks you have created. Every node on the task is represented by a circle which is connected other using dotted lines. It looks like as if you have created a mind map. This gives you a quick overview of what automated tasks (scenarios as they call it) you are running. You can create any number of scenarios and any scenario at a given time can have n numbers of steps or operations. It is a true multi-step automation tool. For example, I created a task in which whenever an article is posted on Beebom, it will retrieve it using the RSS feed and email it to me. This was a simple two-step automation. Let us take it up a notch and create a complex schedule. I have added a router which allows me to assign different outcomes for the same trigger. I have defined the router to send any iOS article to Evernote and Android article to Google Drive. See how easily I created a path to automate things. Now I have everything I need right in my three favourite places. This is just an example, the possibilities are endless. You have to give it a try to fully understand its use cases. My main rift with Integromat and every other automation tool for that matter is their pricing strategy. Most of them follow subscription-based pricing with multiple tiers. You will have to check each one out by visiting their websites. One good thing about Integromat is that it has a free user account option which gives you a limited access to their service, so that you can check it out before buying. If you are looking for something which is strictly for personal use, check out this offering from Microsoft. The app is extremely well designed. 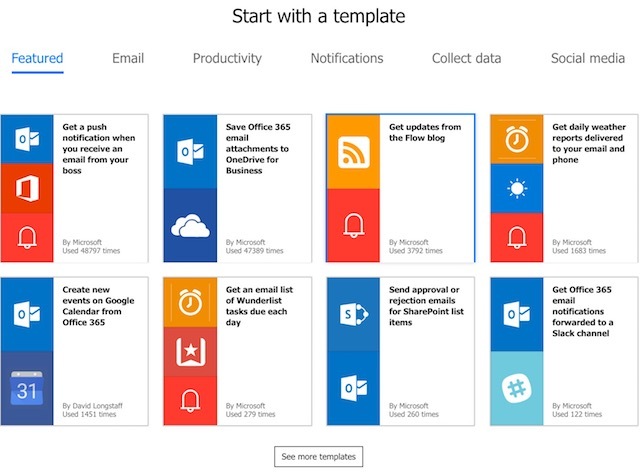 It is best if you are just getting started, as it has a big assortment of templates with pre-created flows you can use to automate your tasks. 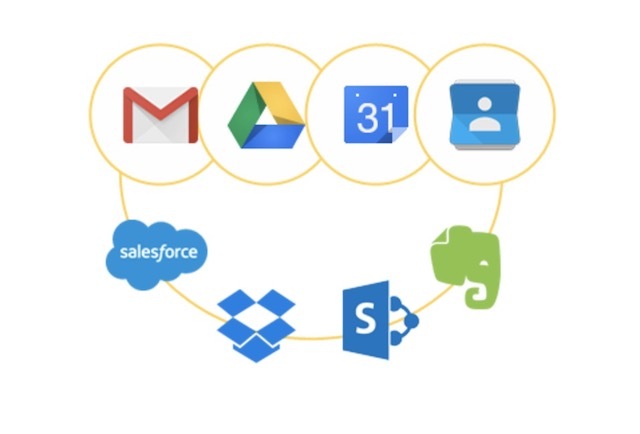 It is especially useful if you already use various Microsoft services such as Office 365, OneDrive and OneNote, as with a single authentication you can connect all your apps. In other apps, you will have to give permission to all the apps you are adding one by one, which might be a little time consuming at first. However, this also brings us to one of the drawbacks of this app, you can only login into the app using your Microsoft account, there’s no other way. But this drawback is nullified when seeing its feature set. Apart from Microsoft apps, it also supports more than a hundred other apps. It might be less if you consider other apps on this list, but is plenty from an individual user’s perspective. You can create multiple step automation defining exact commands which you want. Also, it has an app for both Android and iOS platforms, which are similar to functionality to its web app. I do consider that it’s easier to create and manage your flows on the website, as you get more screen real-estate to work with. Also, did I tell you that it’s totally free? It is the only automation app you will find in the market which is free without any restriction. If you are looking to play the automation game, do give this one a chance. You will notice a trend with all these automation services is that they focus mainly on the business side of things. I just wanted to get that out of the way, as while visiting these services, one might be overwhelmed with their business first approach. Apiant supports over 15000 different apps and which might be overwhelming for some users. But do not worry, you can start with your own small-scale automations and then take it from there. You will find that all your apps have Apian integration. You can create triggers and actions. It goes without saying that there can be multiple triggers and actions in the same sequence. One unique feature of Apiant is that you can order custom services for yourself based on your requirement. This especially makes sense if you own a business which uses a different set of tools than those already supported by the platform. You can use Apian for personal usage but it is best for business owners as it is a little but hard to get around and has a little bit of learning curve associated with it. Also, it has no free account usage. However, you can use it for a trial period. PieSync boasts itself as a direct competitor to Zapier, so much so that it has a whole page on its website dedicated to explaining how it is better than Zapier. 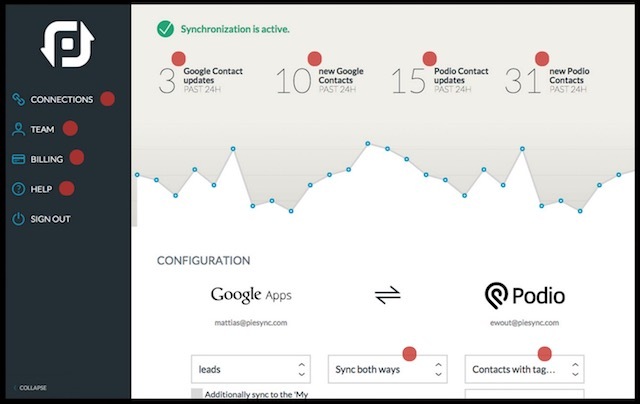 According to the website, while services like Zapier push data to different apps only one way, PieSync focuses on syncing data between the apps both ways. More than focusing on if this than that functions, PieSync allows your apps to talk to each other by syncing data between then on a real time basis. This is best for a business who has a team working remotely. All their work will be synced across apps giving everyone access to the data instantly. It is also intelligent enough to find and manage duplicate data points and remove them. For example, suppose that two members of a team update the same data. While syncing the data, PieSync will know that the data is same and will save only one set of data, thereby removing any duplication. This makes it a tool good for business but not so for individual usage. If you own a business which relies upon employees working remotely, this might be the app for you. If you are looking for something for personal use only, look at other apps on our list. If you are someone who uses a lot of different cloud storage services like Dropbox, Google Drive, and Office365 and wants to manage them from a single place, this is the app for you. It is also for someone who is overly dependent upon emails for his/her work. The app only focuses on integration and sync between different cloud service providers. It allows you to sync your emails across different cloud storages. 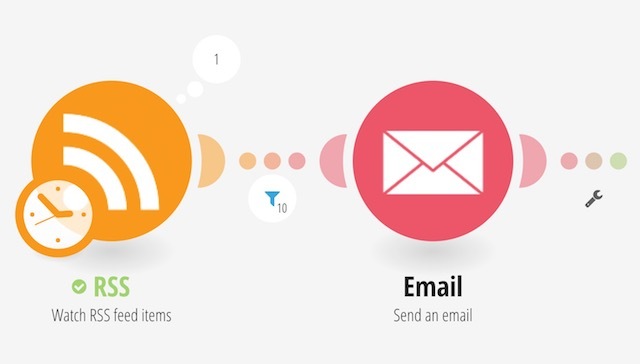 You can sync your contacts, create labels for different emails to sort them and much more. Visit the site to know more about it functions and how to perform them. If emails and cloud storages are your things, give this one a try. This one is for all you Dropbox users out there. I know, a product which only supports one service might seem like a niche product but considering the number of Dropbox users out there, this serves a very big niche. 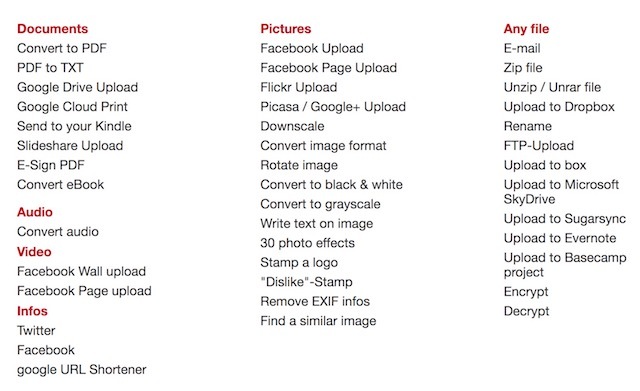 Also, recently they have also launched a Google Drive automator too. On good thing about this service is that you can choose to give it access to only one folder inside your Dropbox essentially keeping all other files private. The UI is pretty basic but it does function well. You can perform various functions such as saving your emails, converting your documents to different formats, sending out a tweet or a Facebook post. The services are limited but effective. Also, it is totally free so there’s no harm in trying this one out. These products truly serve a niche market. Automate.io focuses only on the marketing side of the things. You can automate emails, schedule social media posts, run Twitter campaigns, create and send invoices and much more. If you are looking for a service which automates your marketing drive, take a look at this one. Flashnode focuses on the e-commerce business. If you are a vendor who is selling his/her products on different e-commerce sites, this one helps you to keep a track of all of them. Needless to say that these apps are not for everyone, but if you are one of those people who work in these niche areas, do give them a look. Automation is a big tool which we can use to get more things done in a limited amount of time. Doing repetitive tasks not only kills our time but also makes our work boring. We should use automation wherever possible to stop ourselves from falling into the traps of doing repetitive tasks. Remember being productive and being busy are two very different things all together. 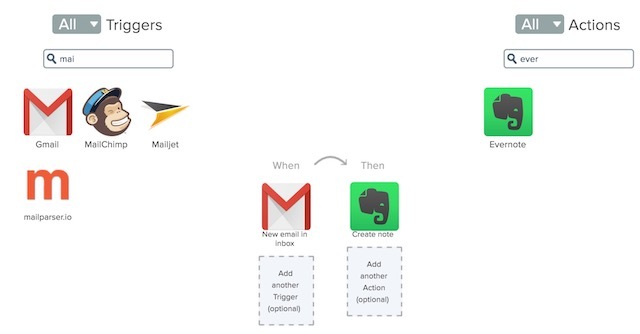 Well, the aforementioned Zapier alternatives should definitely make things more productive for you. Every tool we have mentioned in our article has a free trial of some sort, so try them out and decide which one is the best for you. Let us know in the comments which one you chose and why.